(CNN) - New Jersey Gov. Chris Christie stood by his decision not to meet with Newtown families before and following his veto of gun-control legislation. Some of those same families and other gun-control advocates protested Monday outside an event in Connecticut where Christie campaigned for GOP gubernatorial hopeful Tom Foley. "I met with Newtown families a year ago and talked about the full range of gun control issues they were concerned about," Christie told reporters. "I didn't feel it was necessary to meet with them again, especially after I had made the decision." Christie vetoed a bill approved by the Democratic-controlled legislature that would have reduced magazine capacities from 15 rounds to 10 rounds. He argued that it would not solve the problem of gun violence and mass shootings, labeling it a "trivial" and "simplistic" approach. He sent it back with suggestions on how to tighten gun laws and strengthen the state's mental health system. Christie's language about the magazine limit approach, however, angered some advocates pushing for tougher limits on firearms, especially after the December 2012 mass shooting at Newtown’s Sandy Hook Elementary School. Mark Barden, who lost his 7-year-old son Daniel in the shooting and who serves as the advocacy director for Sandy Hook Promise, said he repeatedly tried to meet with Christie this summer before the governor made a decision. "No one told me he had no intention to meet with us," Barden told CNN. "I beg to wonder why he didn't just tell me that." In his veto response, Christie said it was impossible for magazine limits to "eradicate, or even reduce" mass shootings. But Barden called the governor's response "an emotional tirade" and said no one suggested that it would be the sole solution. Gun control advocates argue a 10-round limit could stall a shooter when trying to reload. "What we do know from data and fact-based evidence is that small magazines do save lives," Barden said. 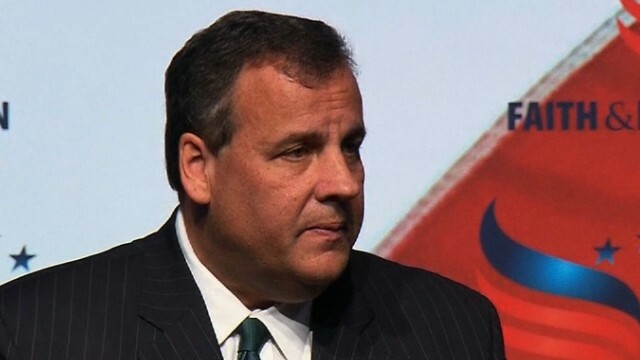 Christie, who's considering a run for president in 2016, said Monday he "made the decision that I thought was best." "I have nothing but sympathy for those folks who went through what they went through in Sandy Hook," he added. "But I don't believe the bill that was passed in New Jersey is an effective way to deal with it, and so I vetoed it. That's a difference of opinion, but it's nothing personal." ""What we do know from data and fact-based evidence is that small magazines do save lives," Barden said." Oh horse crap. I can drop an empty and pop a new one in less than 1 second. It's a solution looking for a problem. How stupid for people to believe that small magazines 'save lives". You want to save lives? Enforce the laws on the books and keep criminals who use guns LOCKED UP for VERY LONG TIMES. Bring back mental facilities and keep nutcases LOCKED UP for VERY LONG TIMES. Ill keep my God and guns. Logic and reason, not to mention evidence says more guns, more gun deaths. It is that simple. When more Americans are killed by guns than cars, we've got a problem. That problem is the NRA, and their prostitutes in the GOP like Mr. Christie. Wayne's Idea of good decent teachers willing to protect themselves will also protect the children they are responsible for in school by being allowed to carry a weapon; this would do a lot more good in stopping the children of parents who are not responsible for the care of their chlidrens mental health. I probably would have vetoed the bill, too. I understand that bill reduces clip size from 15 to 10. I think that you've reached the point of diminishing returns. There are bigger problems and issues that need to be addressed,: i.e., stronger background checks and trafficking laws. As for the Newton people, Christie has no respect for anyone except for those who can do something for him. GOP/Teatroll gun policy: "It's not a problem as long as the right people are the ones getting shot." Right people: small children, "inner city" folks (especially those who left their proper neighborhoods), Cheney's hunting partners, minorities in hoodies, liberal arts college students etc. are you denying the vast majority of inner city gun violence is minority against minority? is the truth too much for you to handle? maybe we should deny guns to minorities? I can always bet your bottom dollar that, that some nutjob on this post will come up with a ignorant,and racist rant. Oh that Christy is such a caring man and his ability to reach across the aisle makes him even better. It's not his fault there were protesters. He must abide by the NRA-GOPT rules, if he wants a shot at the big office. I could barely keep a straight face typing that.